Italian Serie B club Ternana Calcio has been expelled from professional football. "Siamo spiacenti di annunciare che abbiamo dovuto espellere uno dei nostri club di calcio professionistico in Italia. Il club è Ternana Calcio con sede a Terni, Italia centrale. Dopo le accuse di partite truccate, che viene presa molto sul serio all'interno della FA, nella stagione 2013/14, abbiamo deciso di agire. Non possiamo rivelare le partite che sono stati corretti per motivi legali. Il club ha presentato ricorso contro la decisione, ma lo respinge, come un club coinvolto in partite truccate non sarà tollerato." "We regret to announce that we have had to expel one of our clubs from professional football in Italy. The club is Ternana Calcio based in Terni, central Italy. After allegations of Match Fixing, which is taken very seriously within the FA, in the 2013/14 season, we have decided to take action. We cannot reveal the matches that were fixed for legal reasons. The club have appealed against the decision, but we will reject, as a club involved in match fixing will not be tolerated." Ternana have had financial difficulty in the past, having to reform in 1993, but have had nothing like this before in their history, unlike most Italian Football Clubs. A supporter spokeswomen said that "the fans were deeply disappointed with the club, and have no right to play [in Serie B]." Ternana have never won any silverware, but have been promoted to all divisions in the country. Speculation is that a new club run by a foreign buisnessman will take Ternana's place in the division, but other options include promoting another club from a lower division. Thanks for all the support on the old story, but now it is all about this one, I hope that me and AAN can make this good! Great start and goodluck Can't wait to see how well this goes! Good start, and hopefully this save wont corrupt! Good luck! @ASR - I hope it won't! Englishman Thomas Allery has announced a new club to replace Ternana Calcio, who were recently booted from Italian Football for match fixing last season. I am very happy to announce that I will be owning a football club in Italy. It was an opportunity that I couldn't refuse. It has been my dream since I started playing 13 years ago. I want to promise to the club's fans that we will be successful, and to back me to the very end. I know what I am doing, I have coaching qualifications, and have studied how to run a football club for many years. My dad regularly visited the country on buisness and only told be great things about the country and I cannot wait to get started here. The opportunity that this has presented me is fantastic and I will grasp it with my two hands. 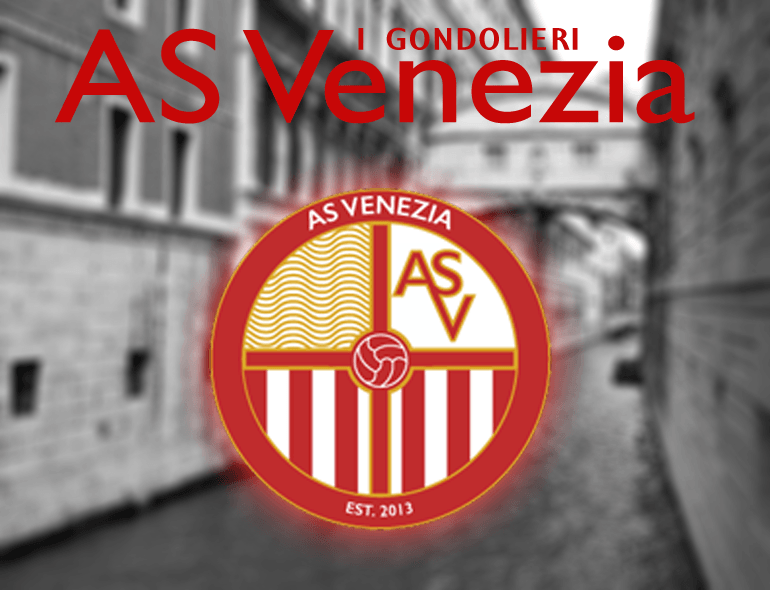 He also announced that the club would be based in the legendary Italian town of Venice, or in Italian, Venezia, in Northern Italy. 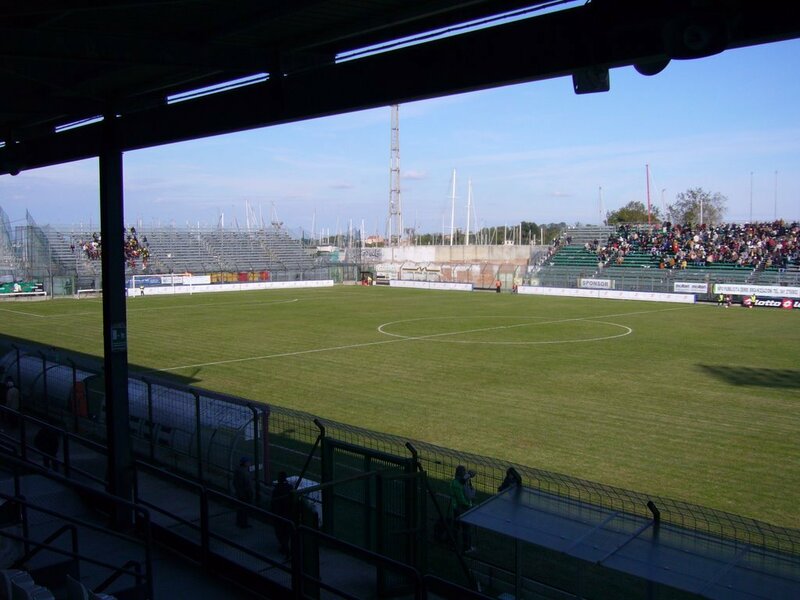 Allery also said that the club would play it's home games at the Stadio Pierluigi Penzo, the home of the other club in Venice, until a new stadium is finished. I am funding for a new stadium to be built in Venice for the club, but it has not started yet, and we need a place to play now, so we will play there [Stadio Pierluigi Penzo]. I am also helping fund for a new state of the art training and youth facilites for the club, which will be completed soon, as the builders are working day and night. I want to attract all the best young talents in the area, as the aim is to build a self-sustained club. Allery also revealed the club logo and kits today, in partnership with sporting giants Nike. The logo is a red circle split into 4 sections. In the top left, there is water, to symbolise the canals and lagoon that surround the town, top right is the clubs annogram, which features heavily on Italian clubs. The strips on the bottom half symbolise the tops that the gondoliers wear in the city. The club also revealed the 2014/15 season's kits, and announced sponsorships and partnerships with YOOX, an Italian clothing brand and UNICEF, a worldwide charity organisation, and you can read about the work they do on their website. The home kit is split diagonally, with the clubs colours of gold and red featuring. The colour is red and the sleeves of the shirt swap. The sponsor, YOOX, is in black and white. The away kit is black and white hoops, to symbolise the shirts that the famous gondoliers wear when at work. The club takes inspiration from them, as the nickname is I Gondolieri. The sponsor is in red and gold, the colours of the home kit. 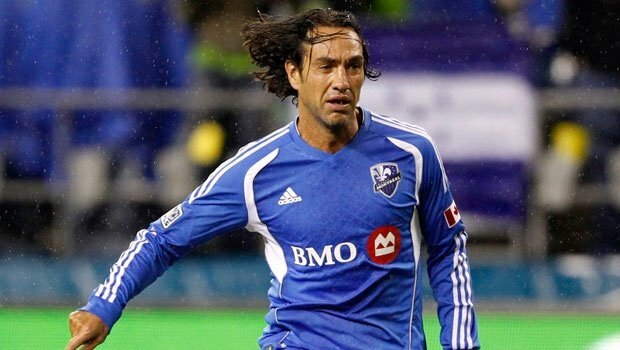 I am delighted to say that Italian legend Alessandro Nesta will be leading the club. Having just retired from an out of this world, trophy laden career, we won't have forgotten a thing and he was coached by some of the best managers ever, such as Carlo Ancelotti." Nesta won four league titles, three in Italy and one in Canada. He wone the UEFA Champions League three times. To be involved with this is amazing and I thank Thomas for giving me this opportunity and I hope I will do well." 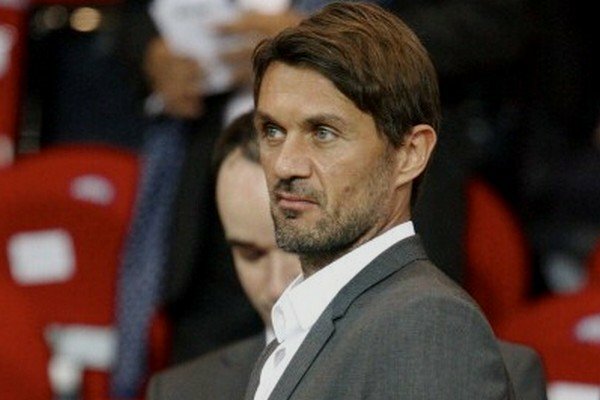 Allery will also revealed the Chief Scout for the club, who is none other than Italian centre back Paolo Maldini. "I am delighted to be able to work here at this well run club. When I learnt that Alessandro was the manager, I had no doubts about the role and I am glad to work with a great friend." Maldini, who is a member of the Italian Football Hall of Fame, also played for AC Milan with Nesta, with the two forming a solid defensive partnership. Maldini played for AC Milan for his entire career and was capped and incredible 126 times for his country. Great kits, great logo, great staff! A great start! Gread Kits and logo ! And a good staff ! Maldini and Nesta ! A couple of memorable! 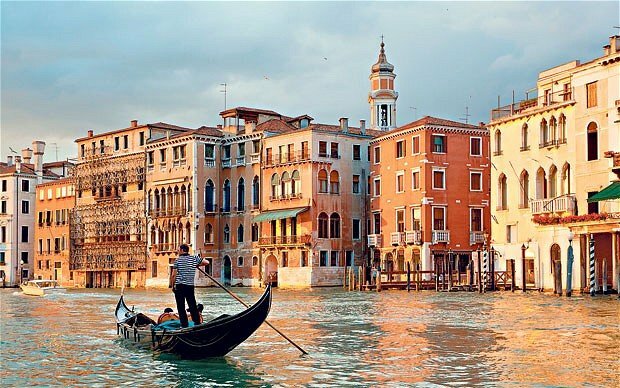 Nice start, I love the city of Venice, not to mention some very nice staff there! A great start i will love this story . @James - Thanks man, sorry for taking you off the team, but I wanted to do the manager bit myself Hope you enjoy it! 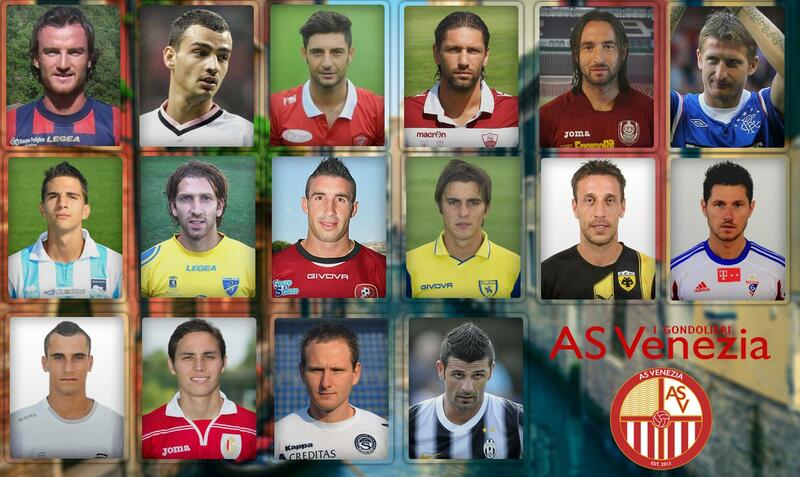 Today, new Italian Club AS Venezia announced 16 signings that all have arrived for various fees. No goalkeepers were signed, an area that new Manager and Chief Scout Nesta and Maldini to address. Here is a quick overview of them. You are reading "[FM14] I Gondolieri - A New Club in Italy".